The 18-hole East/South at Lakeside Links Golf Course in Ludington, MI is a public golf course. East/South at Lakeside Links Golf Course measures 6440 yards from the longest tees and has a slope rating of 122 and a 72.3 USGA rating. The course features 3 sets of tees for different skill levels. The 18-hole East/West at Lakeside Links Golf Course in Ludington, MI is a public golf course that opened in 1970. East/West at Lakeside Links Golf Course measures 5766 yards from the longest tees and has a slope rating of 121 and a 68. The 9-hole Epworth Heights Golf Course in Ludington, MI is a private golf course. 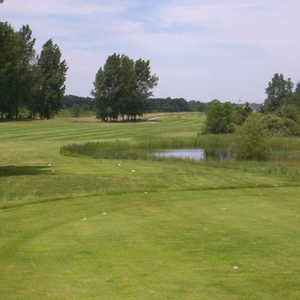 Epworth Heights Golf Course measures 1967 yards from the longest tees. The 18-hole Hemlock Golf Club in Ludington, MI is a public golf course that opened in 2001. Designed by Raymond Hearn, Hemlock Golf Club measures 6965 yards from the longest tees. The course features 7 sets of tees for different skill levels. The 18-hole Lincoln Hills Golf Club in Ludington, MI is a semi-private golf course. 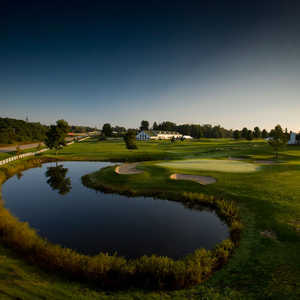 Lincoln Hills Golf Club measures 6520 yards from the longest tees and has a slope rating of 136 and a 71.2 USGA rating. The course features 4 sets of tees for different skill levels. The 18-hole West/South at Lakeside Links Golf Course in Ludington, MI is a public golf course. West/South at Lakeside Links Golf Course measures 6438 yards from the longest tees and has a slope rating of 126 and a 71.5 USGA rating. The course features 3 sets of tees for different skill levels.